It was supposed to be a match made in heaven as the player is finally united with dream club and this was a viewpoint held by Barcelona, judging by how far they went in a bid to get their man. The Blaugrana had repeatedly made offers for Coutinho and they were repeatedly turned down by Liverpool. Undeterred, the Catalans kept coming back until The Reds finally budged in a deal reportedly worth £142m. That fee made Coutinho the most expensive player in Barcelona's history and the third costliest of all time. However, after all, this is a world where teenagers are being signed for nine figures, so Barcelona must have seen it as a small price to pay to land their star man. The Brazilian international had wowed for five seasons in the Premier League with Liverpool. Then, Barcelona saw him as the ideal long-term replacement for the soon-to-depart Andres Iniesta. Coutinho was expected to be the final cog in the Barcelona wheel to take the club into the next era, but despite having a terrific debut half-season, where he helped the Blaugrana win a domestic double, it has rapidly gone downhill for the 26-year-old. This was the campaign where Coutinho was supposed to fully inherit Iniesta's spot, proving his value to the Barcelona hierarchy and playing a key role in the club's assault on the Champions League (having been cup-tied with Liverpool last season). However, it has not quite worked out to plan for Coutinho, as he has found himself struggling, horribly out of form, while he looks nothing like the confident player who terrorized opposition defenders at will in the EPL. His struggles have been so glaring that solutions have been preferred to his woes, but despite all efforts, he continues to be one of the most underperforming Barcelona players this season, such that it has been suggested that he should be sold off in the summer. While Coutinho seems determined to stay on and prove his worth, evidence at the moment suggest otherwise and as such, it might be in Barcelona's best interests to offload him in the summer. 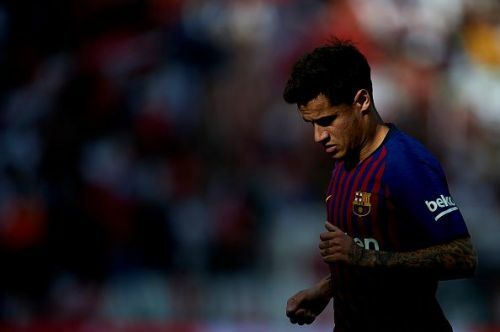 In this piece, we shall be highlighting three reasons why Barcelona should sell off Coutinho before the start of next season. Prior to his transfer to Barcelona, Phillippe Coutinho had just signed a new long-term contract at Liverpool worth a reported £200,000 / week in a bid to stave off Barcelona's interests. Though Barcelona did not top his earnings, as he currently enjoys a pay package similar to that he got at Liverpool, the club counted on his immense desire to play for the club and this is a tactic that worked out well in the end for them. Coutinho currently signed a bumper contract worth about £10.4m / year which breaks down to just about £200,000 / week and places him as the third highest earner at the club. This humongous salary outlay would have been justified if Coutinho was playing as the level of those in similar pay brackets to him. Unfortunately, that is not the case, as his performances are nowhere near matching his huge financial rewards. 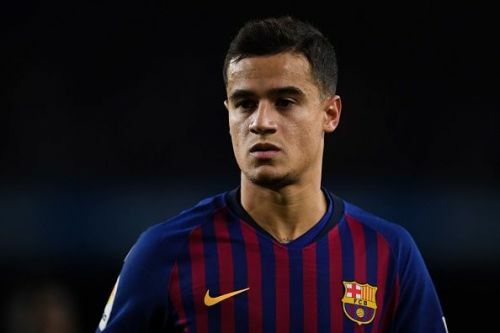 To put this in context, Coutinho has just started 16 La Liga matches all season, with a further 10 coming off the bench, while he has not completed a full 90 minutes in the league since January. In total, the Brazilian has seen his contributions also diminish, as he has found the back of the net just four times, creating a further two assists from his 26 league appearances which are rather very poor numbers considering how much he is paid. His weekly wages in addition to the high amount used in signing him makes Coutinho a rather expensive flop. The earlier Barcelona can get him off their wage list, the better for them. What is going wrong for Philippe Coutinho at Barcelona?